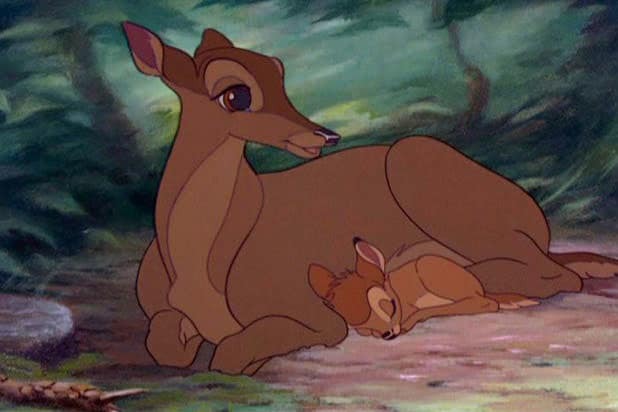 In a case Conservation agents are calling one of Missouri’s largest cases of deer poaching, a Missouri judge has sentenced a deer poacher to watch the Disney movie “Bambi” once a month while serving out his yearlong jail sentence. David Berry Jr., the defendant who was ordered to watch “Bambi,” was one of four members of a southwest Missouri family caught in a multi-year poaching case where authorities say hundreds of deer were killed illegally. Berry was also sentenced to 120 days in jail in a nearby county for a felony firearms probation violation. Berry’s father, David Berry Sr. and his brother, Kyle Berry, were arrested in August after a nearly nine-month investigation that also involved cases in Kansas, Nebraska and Canada. "Mulan" celebrates its 20th birthday on June 19, having come out on that day in 1998. The beloved Disney film is based on a Chinese legend and tells the story of a young girl, Mulan, who impersonates a man to take her sick father's place in the fight against an invading Hun army. The movie was well-received by critics, earning multiple Golden Globe and Academy Award nominations, and grossed $304 million at the box office. In addition to the title heroine, "Mulan" starred Eddie Murphie as a small red dragon named Mushu, who serves as a guardian for Mulan throughout the movie. 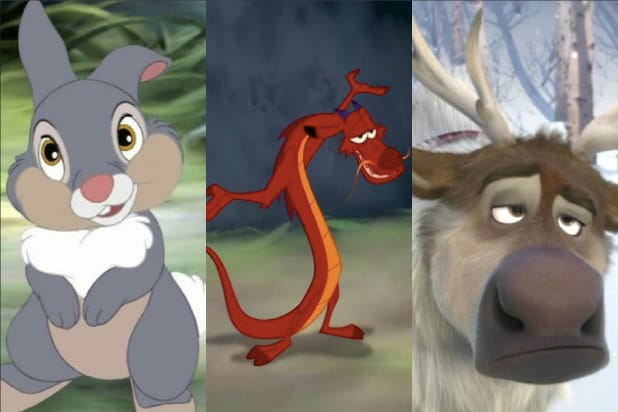 In honor of Mulan's 20th birthday, take a look back at some of Disney's most iconic animal sidekicks. This little cricket went from a minor character in the original 1881 novel by Carlo Collodi to a star player in the 1940 Disney film. He serves as the conscience of Pinocchio and tries to keep him out of trouble throughout the film. This young rabbit from the 1942 Disney classic teaches his best friend how to speak and skate on ice. He also put his own spin on the enduring phrase: "If you can't say something nice, don't say nothing at all." Thanks for the tip, Thumper! Jaq is smart and skinny, Gus is chubby and not too bright, but together they serve as Cinderella's best friends and closest confidants. While dodging the ever-hungry Lucifer, these two mice help find a ribbon for Cinderella's dress, get turned into horses so they can pull Cinderella's chariot, and steal the key to Cinderella's room from her evil stepmother so she can escape and marry Prince Charming. Archimedes is Merlin's pet owl and Arthur's teacher. He teaches Arthur about history, shows him how to fly and helps him find the sword in the stone. Flounder goes along with Ariel on all of her adventures, supports her fascination with human things, and ultimately helps her defeat Ursula. Sebastian is the royal court composer and a loyal servant to King Triton, but he's also a loyal friend to Ariel -- helping her win his love and defeat Ursula. Not bad for a tropical fish and a crab! Abu may be a small monkey and a big thief, but he's loyal to his best friend Aladdin and will do whatever he can for him. He shares his stolen food with hungry children, turns into an elephant to help Aladdin with his disguise to win Jasmine's heart, and transforms into a toy monkey after saving Aladdin's life. The king's royal dodo (excuse us, toucan) may not be the world's best babysitter, but he makes up for it with his great singing ("The Morning Report"), his loyalty to Mufasa, and his ability to maintain a sense of humor while living in a bone cage with his boss's murderer. In the end, he takes his rightful place as King Simba's right-hand bird. Meeko is a greedy racoon and Flit is a loyal hummingbird. Together, they go along with Pocahantas on her visit to Grandmother Willow and try to sabotage her relationship with John Smith -- though they warm up to him in the end, just like Pocahontas. Every hero needs a loyal steed, and Hercules is no exception. His winged horse Pegasus is brave, silly, and not too fond of Meg -- but after she saves Hercules' life, goddess and horse work together to help Hercules defeat the Titans. This dragon may look more like a lizard, but he has a heart of gold and a mouth to match -- and he helps Mulan save China from the evil Hun invaders. Happy 20th, Mushu! Even toy cowboys need a way to get around, and Bullseye serves as a loyal -- and adorable -- sidekick for Woody and Jessie. This forgetful fish just kept swimming into our hearts and minds when she helped Marlon find his son in the 2003 Pixar classic -- and twelve years later, she got her own movie as thanks for her hard work. The lovable golden retriever from Pixar's "Up" is as brave, silly and loyal as they come -- and he can talk about squirrels and giant birds to his heart's content, thanks to a special canine-translating collar. They may be different sizes and species, but these two sidekicks help Flynn and Rapunzel stay out of trouble and fall in love. Pascal is a little green chameleon who served as Rapunzel's best friend and confidant during her long imprisonment in the tower. Maximus is a big white stallion who starts out the movie hunting down Flynn with the police -- and ends the movie as a loyal friend to Flynn and Rapunzel and the head of the Royal Guard. Kristoff's loyal friend is an excellent example of why reindeers are better than people (according to some). He loves carrots, he can pull sleds like nobody's business, and he earns a medal for helping to save Anna and Elsa from the evil Prince Hans. Heihei isn't the smartest chicken in the coop, but he makes up for his low IQ by keeping Moana company on her long voyage across the sea -- and he manages to avoid being turned into Maui's meal along the way.